The tools in this set have palm handles. 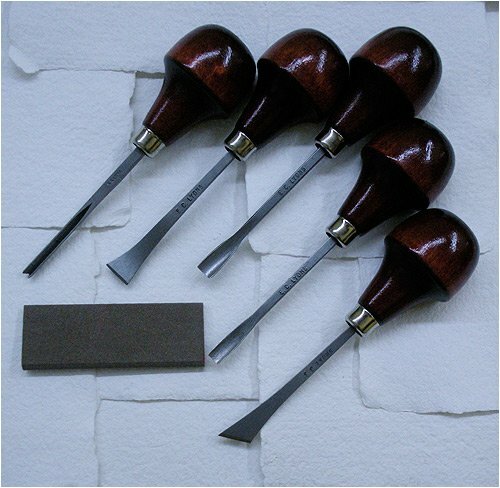 Included are one 5/16 inch gouge and one 1/4 inch gouge one v-shape 5/32 inch veining tool one cutting knife one 5/16 inch bent chisel and one sharpening stone. The five tools measure 5 inches long. Jack Richeson 698990 Lino Grip, 7.5" x 10.25"